Petronet LNG (PLNG) is the market leader in the LNG receiving and regasification business in India. 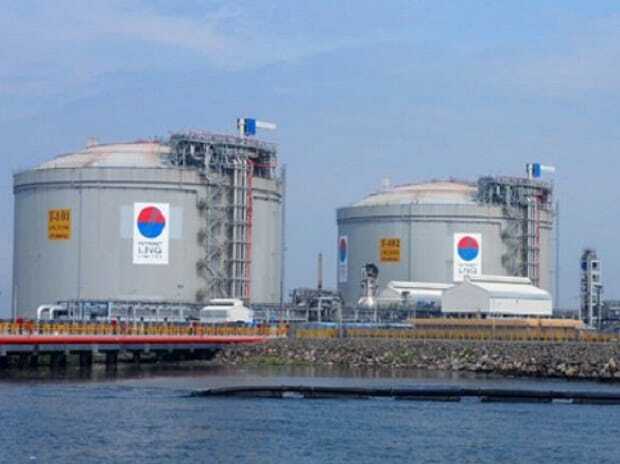 The company has set up the country’s first LNG receiving and regasification terminal at Dahej, Gujarat, and another terminal at Kochi, Kerala. While the Dahej terminal has a nominal capacity of 15 MMTPA, the Kochi terminal has a capacity of 5 MMTPA. The company is in the process to build a third terminal at Gangavaram, Andhra Pradesh. A couple of other important plants are also in the plans. Formed as a Joint Venture by the Government of India to import LNG and set up LNG terminals in the country, it involves India’s leading oil and natural gas industry players. Their promoters are GAIL (India) Limited (GAIL), Oil & Natural Gas Corporation Limited (ONGC), Indian Oil Corporation Limited (IOCL) and Bharat Petroleum Corporation Limited (BPCL). Sign long term, fixed price contracts with gas suppliers from overseas. Currently, they have signed such contracts with Gaz de France and Ras Laffan LNG Company. Store them in LNG storage tanks. Sell them to Oil & Gas clients, after which the gas will be vaporized and transported via gas pipelines. The buyers are largely IOCL, BPCL, GAIL and ONGC as of now. The quest for alternative fuel has been a common denominator in most parts of the world. Closer in Asia, India and China have been spear-heading the change. 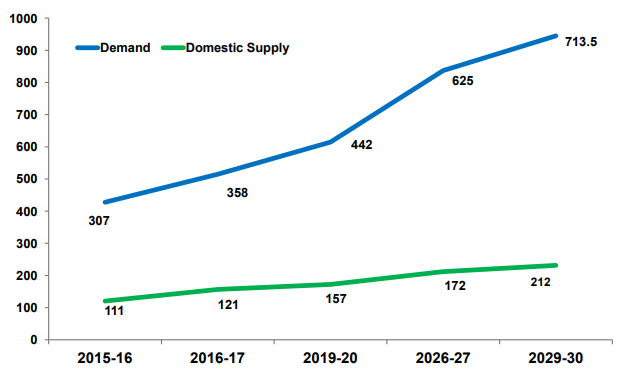 Considering how the domestic gas supply isn’t up to the mark, LNG imports will have to be boosted to fill in the gap. PLNG has the highest market share in this space and can play a huge part in bridging the demand-supply gap in LNG imports and regasification. 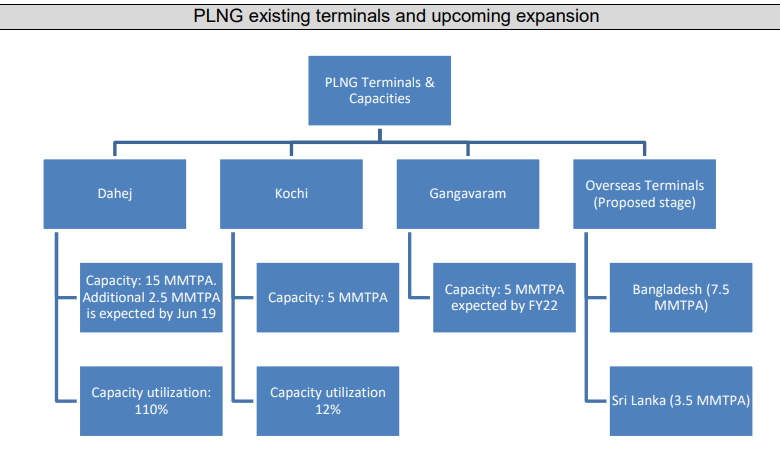 PLNG already has large plants at low capacity utilization levels. If the demand for imported gas indeed picks up, the operating leverage can kick in to aid profitable growth. 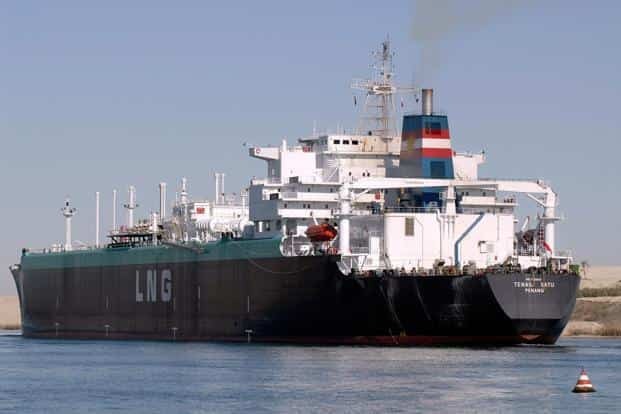 PLNG is also largley the face of India’s LNG import talks with foreign nations. So if there’s a list of companies that can successfully discuss profitable LNG import deals for the country, PLNG would probably figure at the top of the list. When all is said and done, the regasification business is a commodity business and therefore, reliant on supply and demand of raw material (Here, gas). Any high-demand situation in gas abroad can dent PLNG’s margins quite easily. However, currently, the prices seem to have stabilized. Since the firm largely supplies to the Oil & Gas giants of India, bargaining power with customers is non-existent. On the other hand, the firm imports gas based on long term fixed-price contracts. So once again, bargaining power with suppliers is also quite less. As already discussed, the upcoming push towards green energy and a lack of local gas production offers a lot of value to the company on a golden plate. It’s only a matter of how large a piece of the pie the company can claim for itself. In the past few years, the company has been negotiating gas import contracts with more suppliers (Exxon in Australia, Henry Hub in USA to name a few). Done successfully, this will spark a price war and hopefully, PLNG can get their raw materials at a cheaper price. The diversification of raw material sources also comes as an advantage. If and that’s a big if, PLNG can negotiate shorter term contracts instead of long term contracts, raw material prices can come down significantly. My memory slips where I read this exactly, but the difference could be as much as 50% lower. A great profit opportunity attracts several competitors and the regasification business is no exception. 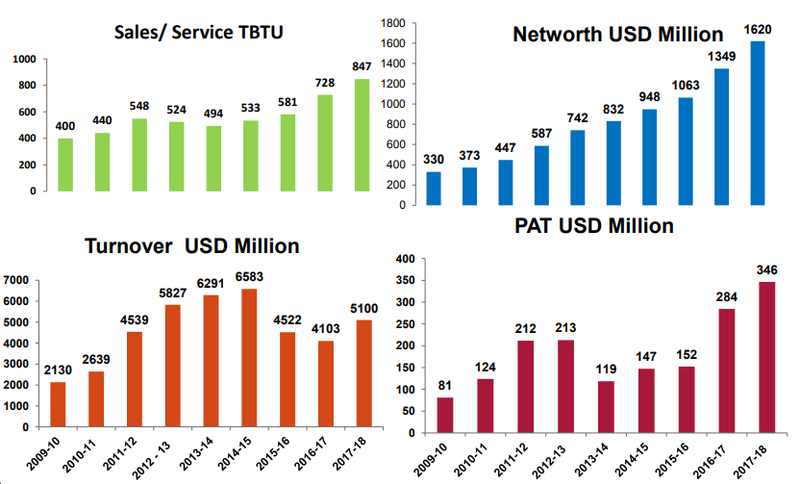 PLNG’s capacity to supply far exceeds the competition. But it is always good to look out for dark horses. Mandatory linking to Screener. But I sincerely suggest that you check out the report by Ventura. 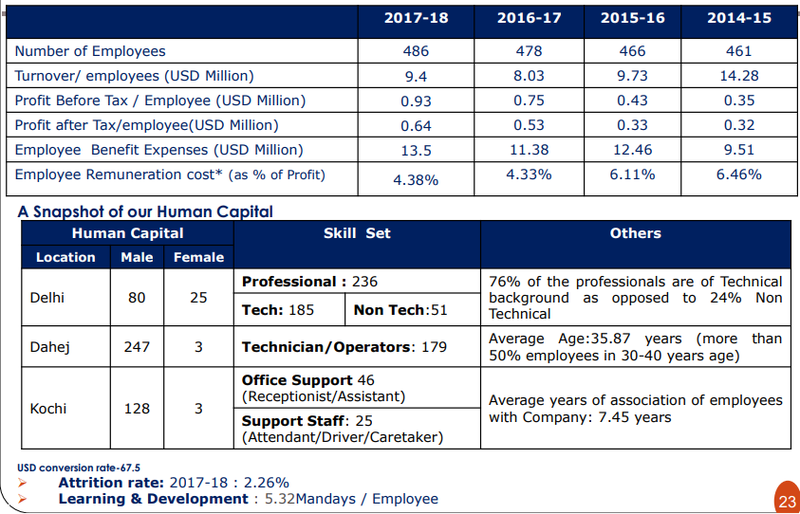 They have done an excellent dissection of the numbers related to the business. In my opinion, depsite the run-up in the stock’s price, it looks to offer some value. TLDR is, PLNG is not my cup of tea. But it could be yours, depending on your own risk-reward tendency. PLNG is a state-owned entity. So, there is no question of Corporate Mis-governance here. But of course, the same fact also appears as a red-flag. We know the fate of several state-owned entities being the playthings of politicians. 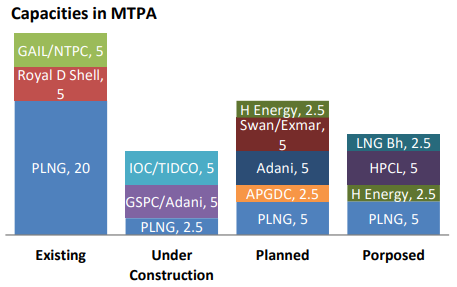 It is not too farfetched to assume that PLNG could join the pack during the upcoming flood of LNG demand. 50% PLNG is owned by 4 Indian Oil & Gas giants. Not only do they own 50% of the company, but they also sit on the board of the company (Talk about independence of the board). The cherry on the cake, these four entities are also the sole customers of the company (Well, almost). You can probably do the rest of the math. I do not hold any position in Petronet LNG. The Kochi-Mangalore pipeline delay is unfortunate as I think that is a key trigger for this stock. LNG prices are also low currently https://oilprice.com/Energy/Gas-Prices/Asian-LNG-Prices-Continue-To-Tumble.html, so that should help too. Disclosure: I hold Petronet LNG in my portfolio. Yes, that’s true. But I think the bigger picture should be to think about how much the government wants to switch to alternative fuel. If they want to, these hurdles will be resolved in due time. Our LNG imports fell despite the lower prices (and have fallen in 3 out of the last 4 months). I wonder why - maybe it’s because Dahej is running over-capacity? It’s mentioned in the article itself. Due to poor demand. Like I said in the original post, despite the tailwinds and structural advantages, we should not forget the fact that PLNG is still largely a commodity business. Supply and Demand impacts its profits quite easily. It appears it’s not that ‘end-use’ demand is the issue. I believe that is there and will grow. It is the downstream infrastructure that’s a problem - the Kochi-Mangalore pipeline, for instance. If we consider China’s case, China’s use of natural gas has already exploded, and is likely to grow even more (as this article says - https://www.forbes.com/sites/arielcohen/2019/01/17/china-to-quadruple-lng-imports-will-u-s-exporters-benefit/#18c655ca2102). We will possibly follow the same path, even if not to the same degree. Of course, ‘price’ remains the key factor when it comes to PLNG’s profitability. Agree fully there. Yes, this is the ‘varied sourcing’ that I was talking about in the ‘Opportunities’ section. This will increase Margins temporarily. However, if the suppliers reduce their supply rate one after the other, a price war can indeed be even more beneficial. In the future? Yes. Bad infrastructure can dent growth. But the article you shared earlier talks about the current demand and supply situation. It says consumption has decreased YoY due to limited demand. Very well summarized writeup, Dinesh. I have not been able to spend time on Valuepickr lately, but could not resist the temptation to read another analysis from you. Significant part of my portfolio contained Petronet (around 30%) but I recently sold-off during recent runup - may buy it back if it falls to a reasonable valuation - thus my views can be biased. My conviction is based on the factors you mentioned above - demand growth prospects are very clear, its a leader in the industry - thus has necessary contacts, customers and expertise, new capacity additions planned, good financials and dividend yield. I slightly differ with you on the view of pricing - in the value chain they are best placed to pass on the cost to customers. They seem to be always renegotiating gas contracts, diversifying them and now getting into buying some long term gas assets - so not a typically government run company. Diversifiying business in other regions. My concerns are - speed of capacity growth is its bottle neck - it takes a long time to add new capacity and thus profit is then limited to capacity utilization and pricing action. Overcapacity risk in Industry as the infrastruture growth on the demand side is still very slow - some competitors are even planning to differ capacitiy addition. Since most of the capacity is in a single location any accident or evironmental impact will be catastrophic to this company. For me, this company is a consistent value creator (expecting 10-12% growth YoY) with its own set of opportunities and risks. I slightly differ with you on the view of pricing - in the value chain they are best placed to pass on the cost to customers. The ‘customers’ are, as I have mentioned, the 4 biggest Oil & Natural Gas players in India. They are also the board members and shareholders (50% together) in the company. It is naturally conflicting that they will allow PLNG to pass on a lot of cost to them, because after all, they hold a stake in the company. I’m not saying they will misuse their position in the company’s board, but it should be a consideration for risk.